1997 was a big year for Mega Man. Not only was the Blue Bomber turning ten-years old, but he celebrated a decade of gaming by properly transitioning into the 32-bit generation (after ports of X3 dipped its toes in the waters) and did so with a multitude of titles. The original series received the underappreciated semi-classic Mega Man 8, and the year also saw the Japanese release of Mega Man Legends, the series’ jump to 3D. Of course, the Mega Man X series was also quick to jump in on the action, delivering its fourth installment in as many years. While Mega Man 8 tried to change up its series’ level structure, and Legends began a whole new side to Mega Man, X4 simply felt like more of the same. It may not be a bad game per se, but if Mega Man X3 raised concerns that the X sub-series – which was originally created to revitalize the franchise – was quickly running out of steam, then X4 confirmed those very concerns. If there’s a notable change made to the Mega Man X gameplay with X4, it’s that Zero is finally a playable character! Sure, you could play as him in small doses in X3, but here, you can play through the entire game as Zero. In fact, if you want to see the whole story, you have to play through the game twice, once as Mega Man X (or simply ‘X’), and once as Zero. The key difference between the two characters is that X retains the classic mega buster, making him long-range and easier to play as, while Zero uses a close-ranged laser sword, and is a little trickier to get used to. Additionally, while X once again gains a new power after defeating a boss, Zero instead gains a new move, meaning that he executes them with different button combinations, as opposed to switching into different modes like X. On paper, that may sound like a pretty big deviation for the series, unfortunately, the level design is more basic and straightforward than the past three X titles, making the change not mean a whole lot. The hidden collectibles are fewer and, quite frankly, not nearly as well hidden (the past three games often required X to revisit completed stages with new powers to find one of his upgrades. X4 features one upgrade where you literally just have to walk to the right before you continue down a vertical path. It’s a telling example). There’s just so little newness to the stage concepts that they end up feeling really forgettable. This is a pitfall that may have been avoided if they at least retained the depth of their predecessors. That’s not to say that there isn’t any fun to be had. 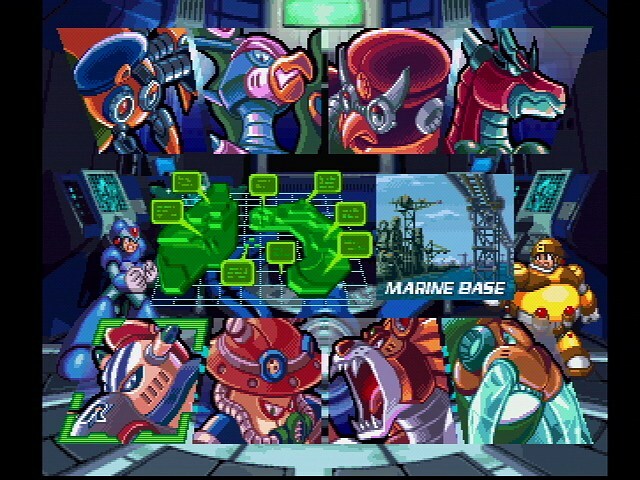 The core gameplay is still solid, and a couple of stages have their moments (particularly those of Cyber Peacock and Jet Stingray). And again, the ability to play through the game as Zero is a nice bonus. The problem is just how safe the game is. X4 retains enough of the polish in Mega Man’s gameplay to keep things fun, but as a whole the game feels incredibly phoned-in. On the bright side of things, the visuals have held up decently well. Though the game was derided on its 1997 launch for being a side-scroller on the Playstation (90s video game criticism, ladies and gentlemen! ), that simple factoid has made it more visually appealing in the long run than the more ‘ambitious’ 3D games of the time. Sure, the backgrounds lack the timeless charm of the SNES Mega Man X titles, but the character sprites are still detailed and fluid. And being Mega Man, the music can get pretty catchy (even if it’s far from being among the better soundtracks of the franchise). 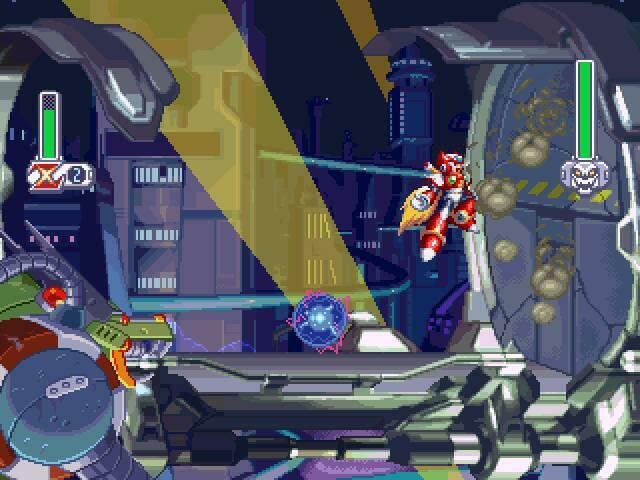 Mega Man X4 was also notable for including some fully animated, anime-style cutscenes. This technique was also used in Mega Man 8, and just like that game, X4 is notorious for the quality (or lack thereof) of its voice acting. 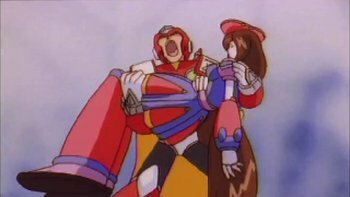 But whereas Mega Man 8’s voice acting is on the ‘so bad it’s good’ side of things, the voice acting here in X4 might simply constitute ‘bad.’ Still, the animation has that nice, rougher 90s anime look to it, so the cinematics have their appeal. Of course, there wouldn’t be cinematics without much story, and unfortunately, this is another area where X4 displays early signs of the series’ fall from grace. 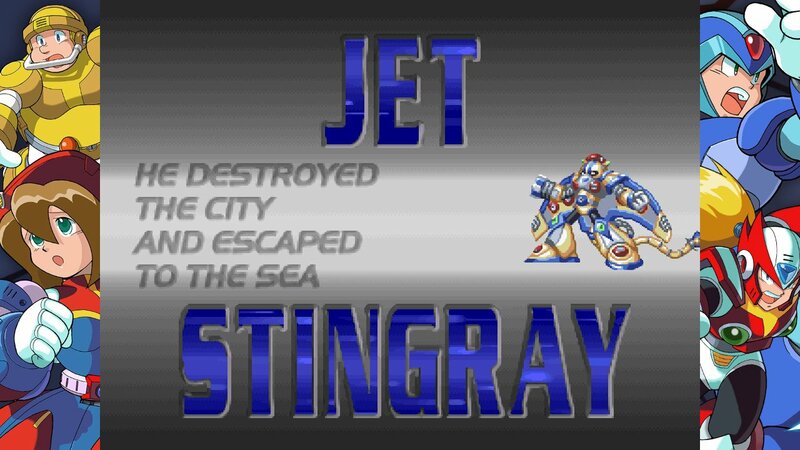 This marked the beginning of the Mega Man X series’ heavier emphasis on plot. While the 32-bit era was when video games became more story-oriented, and perhaps that is to be expected here as well, the fact that Mega Man X4 features so little new ideas in its gameplay does make you wish Capcom had focused less energy on the story and prioritized making a more original game. The story here takes place sometime after the events of X3. The Reploids (sentient robots) now live in harmony with humans, after the Mavericks (evil Reploids) had been defeated not only by Maverick Hunters like X and Zero, but by a new army called the ‘Repliforce’ as well. After a flying fortress crashes down on a city and kills many humans and Reploids alike, Repliforce ends up being a prime suspect in the attack, and they themselves become dubbed Mavericks, and rebel against humans for the sake of their own freedom. X and Zero get caught up in it all, of course, and soon the threads of the plot begin to untangle, and it really shouldn’t be any surprise who’s behind it all. The plot just kind of drags things down, though there is a nice little touch with the eight Maverick bosses getting little descriptions when their stage is selected and introductions when you reach their boss room. Perhaps the worst aspect of the story, however, is how Zero’s mystique is completely stripped away. No longer the mysterious leader of the Maverick Hunters whose motivation is ensuring peace between humans and robots, Zero now comes across as a generic, love-struck anime pretty boy, with love taking over as his motivation. The object of this love is a female Reploid named Iris who, quite frankly, is a rather uninteresting character. She more or less fills the quiet, dough-eyed, “cheering from the sidelines with hands clenched together” anime archetype. How cliched can this all get? Still, ignoring the overly familiar elements and over-emphasis on a bland storyline, Mega Man X4 isn’t dead on arrival. It may, however, be the X series’ last breath. There’s still enough left in the tank for Mega Man X4 to provide some solid fun for fans of the series – even if it isn’t half the game X3 was, let alone X and X2 – but it’s those same fans who will probably be able to pinpoint all the things X4’s predecessors did better. If you’ve played any of the previous Mega Man X games, you know exactly what to expect out of Mega Man X4. Actually, you might need to expect a little bit less. hmm, I might have a softer spot on this one given it’s the one I jumped onto after finishing X (I played a little bit of X2 before but I felt the new graphics would make it feel more fresh), and credits due where credits due, this is the first game to get playable Zero right. Still, it’s a relatively safe game, so I imagine after playing 3 games like it beforehand will tired out most people, even if I think the game is better balanced than X3 myself. I can actually understand someone liking X4 a lot. It’s far from a bad game (everything scored 6-10 is good from me, and even a 5 isn’t a totally lost cause), I can even understand someone liking X5. But I do tend to review things in relation to similar works, and in this case I just think the X games up to the ones I’ve played end up feeling safer and safer. It’s true, you could say the same about the original series as well, but I feel like those games got more creative with their level designs.